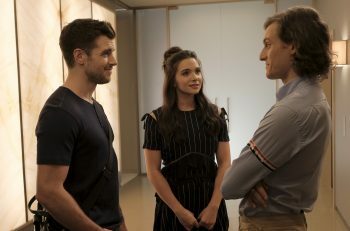 Freeform made fans of The Bold Type extremely happy today by announcing when the show would premiere its third season. The highly anticipated season will debut Tuesday, April 9 at 8:00pm. The Bold Type stars Katie Stevens, Aisha Dee, Meghann Fahy, Sam Page, Matt Ward, Stephen Conrad Moore, Nikohl Boosheri and Melora Hardin. Season three of the show is executive produced by Amanda Lasher, Joanna Coles, Ruben Fleischer, David Bernad, Matt McGuinness, Becky Hartman Edwards and Victor Nelli Jr. Holly Whidden serves as co-executive producer. Are you all as excited as we are here at Talk Nerdy With Us for the show’s third season? Let us know in the comments below!